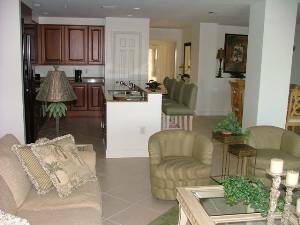 Our condominium is located on the third floor of the Esplanade in Marco Island. We have a beautiful view of Smokehouse Bay and the Esplanade Marina. 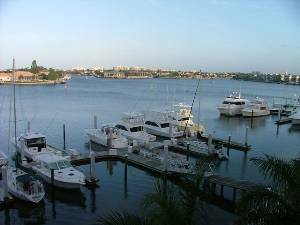 If you are a boater, this is the place for you as you have direct access to the Gulf. The pool area includes an exercise room (free weights, treadmills, etc.) with a glass wall that faces the pool and bay. The beach is only minutes away by car or bike. 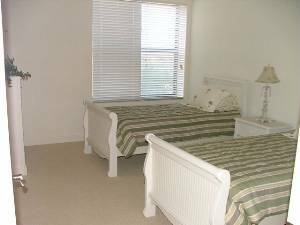 With our condo you have private and secure parking. 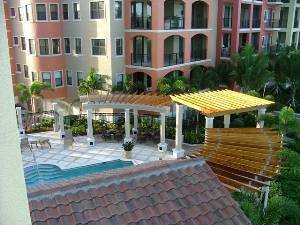 The Esplanade is the newest and most unique development on Marco Island. Besides the marina, it includes 2 restaurants, (seafood and Italian) with bay-side dining, a Starbucks, Rick's Island Day Spa, gorgeous fountains, a Cold Stone Creamery ice cream shop, and more to come. This is the place to be in Marco! 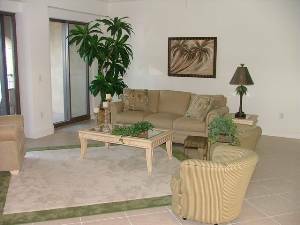 Our condominium is professionally decorated. The spacious and airy great room and its lanai overlook Smokehouse Bay. 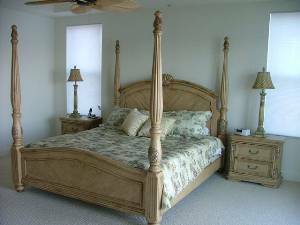 The master suite with king-size bed, TV/VCR, and private juliet balcony also overlooks the bay. 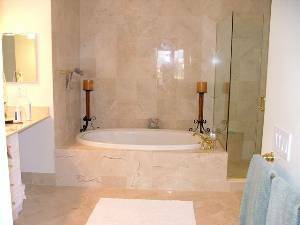 The over sized master bath has two bv vanities, whirlpool tub, and private water closet with bidet. The second bedroom is furnished with a king-size bed and has a private bath. The third has two twins and a bath. 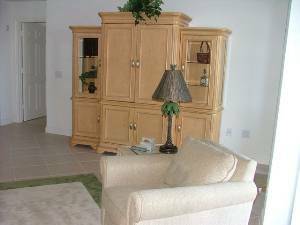 The unit has internet access and you can also make free calls anywhere in the continental United States from our phone. On-site exercise room. You can also make free calls anywhere in the continental United States from our phone. I recently stayed in the condo and it is absolutely fabulous. The condo is brand new, with virtually all the immenities once could want. The views and sunsets were fantastic. Most importantly, the owners of the condo were very nice to work with and went out of their way to ensure we had a good time. I would and will rent from this owner again.